Prelims: What PMI and how is it derived? Mains: Economic growth indicators and significance. PMI or a Purchasing Managers’ Index (PMI) is an indicator of business activity — both in the manufacturing and services sectors. It is a survey-based measures that asks the respondents about changes in their perception of some key business variables from the month before. It is calculated separately for the manufacturing and services sectors and then a composite index is constructed. How is the PMI derived? The PMI is derived from a series of qualitative questions. Executives from a reasonably big sample, running into hundreds of firms, are asked whether key indicators such as output, new orders, business expectations and employment were stronger than the month before and are asked to rate them. How does one read the PMI? A figure above 50 denotes expansion in business activity. Anything below 50 denotes contraction. Higher the difference from this mid-point greater the expansion or contraction. The rate of expansion can also be judged by comparing the PMI with that of the previous month data. If the figure is higher than the previous month’s then the economy is expanding at a faster rate. If it is lower than the previous month then it is growing at a lower rate. What are its implications for the economy? The PMI is usually released at the start of the month, much before most of the official data on industrial output, manufacturing and GDP growth becomes available. It is, therefore, considered a good leading indicator of economic activity. Economists consider the manufacturing growth measured by the PMI as a good indicator of industrial output, for which official statistics are released later. Central banks of many countries also use the index to help make decisions on interest rates. For Prelims and Mains: Scissors enzyme and its significance and about CCMB. Why in News? Scientists at CCMB have discovered a new enzyme which helps in breaking cell walls of bacteria and hence, offers a potential for a new drug delivery route to arrest the anti-bacterial resistance. Researchers discovered that by blocking ‘scissors enzyme’ from functioning, new ways to target microbes could be found, leading to a new wave of antibiotic drug. Other bacteria, too, have the same enzyme working on cell division as the cell wall is fundamental for bacterial growth and division. The new enzyme offers a potential for a new drug delivery route to arrest the anti-bacterial resistance through existing antibiotic drugs. It opens up fresh ways to target microbes, leading to a new wave of antibiotic drugs. The Centre for Cellular & Molecular Biology (CCMB) is a premier research organization which conducts high quality basic research and trainings in frontier areas of modern biology, and promote centralized national facilities for new and modern techniques in the interdisciplinary areas of biology. It was set up initially as a semi-autonomous Centre on April 1, 1977 with the Biochemistry Division of the then Regional Research Laboratory (presently, Indian Institute of Chemical Technology, IICT) Hyderabad. It is located in Hyderabad and operates under the aegis of the Council of Scientific and Industrial Research (CSIR). It is designated as “Center of Excellence” by the Global Molecular and Cell Biology Network, UNESCO. Why in News? Roadis, a private investor and operator of transport infrastructure worldwide and the National Investment and Infrastructure Fund (NIIF) have jointly set up a platform to invest in road projects in India. The platform would invest up to $2 billion of equity targeting toll-operate-transfer models, acquisitions of existing road concessions and investment opportunities in the road sector with an aim to create a large roads platform in the country. For Prelims and Mains: APAs- meaning, features and significance. Context: The Central Board of Direct Taxes (CBDT) has entered into 18 Advance Pricing Agreements (APAs) in March this year, including three bilateral APAs. With the signing of these APAs, the total number of APAs entered into by the CBDT in the year 2018-19 stands at 52, which includes 11 bilateral APAs. The total number of APAs entered into by the CBDT as of now stands at 271, which inter alia includes 31 bilateral APAs. 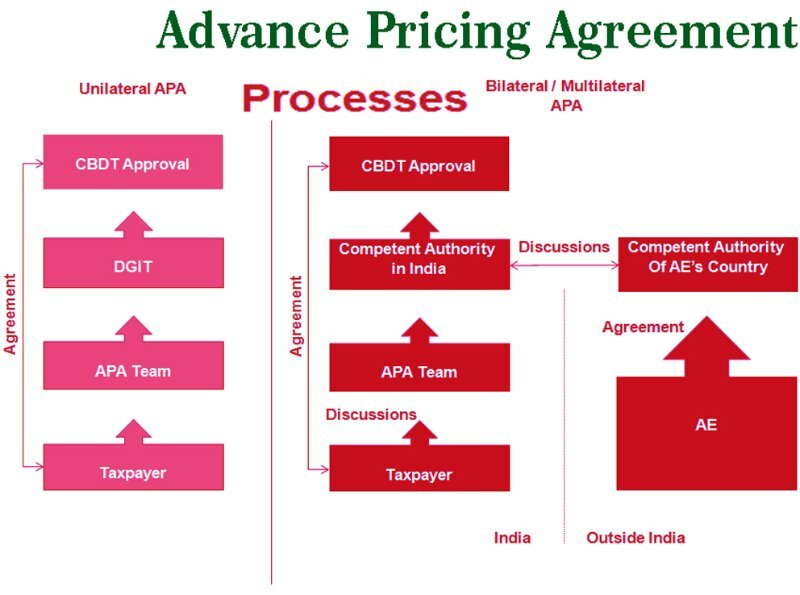 An APA is an agreement between a taxpayer and the tax authority determining the Transfer Pricing methodology for pricing the tax payer’s international transactions for future years. An APA provides certainty with respect to the tax outcome of the tax payer’s international transactions. For Prelims and Mains: Objectives and significance of the summit. Context: The NuGen Mobility Summit 2019 will be held during November at Manesar, National Capital Region. The Summit will be organised by the International Centre for Automotive Technology (ICAT) in association with many institutions including NATRiP. Objective: The objective behind the Summit is to share new ideas, global experiences, innovations and future technology trends for faster adoption, and development of advanced automotive technologies for a smarter and greener future. Significance: It will help in building a platform for bringing together all stakeholders in the automotive industry to understand global advancements in technologies. It assists the automotive industry in adopting cutting edge technologies in vehicle evaluation and component development to ensure reliability, durability and compliance to the current and future regulations. 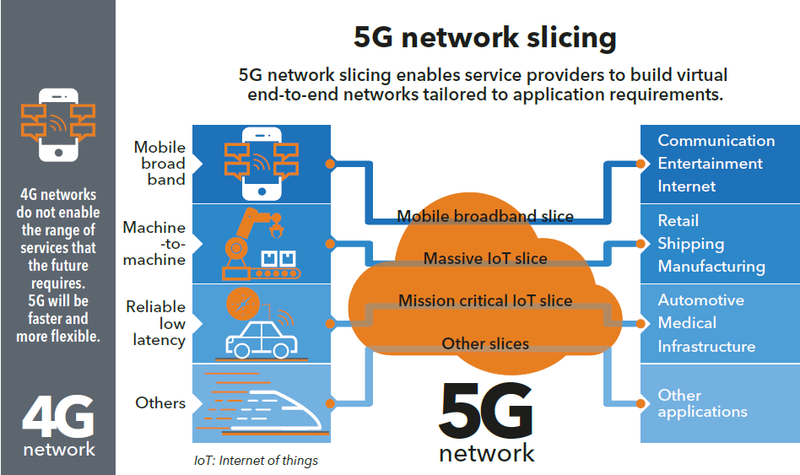 Context: South Korea will launch world’s first 5G mobile networks on April 5, 2019. South Korea will be the first country to launch 5G networks. Context: The Supreme Court of India on April 2, 2019 struck down the Reserve Bank of India’s February 2018 order on non-performing assets, as a result of which all cases referred to or admitted under the Insolvency and Bankruptcy Code (IBC) due to the RBI order would now be cancelled. The apex court struck down the controversial RBI circular mandating resolution of loans of Rs 2,000 crore and above even for a single day as ultra vires. The judgement was pronounced on a batch of petitions filed by various industries including power, fertiliser and sugar, challenging the February order. The Supreme Court held the February 12 circular “ultra vires as a whole” — essentially meaning the RBI had gone beyond its powers — and thus “of no effect in law”. Following the Supreme Court order, all the companies either referred or admitted for the resolution process, whichever stage of the proceedings they are, would be treated as they were never referred for insolvency. The decision would benefit various sectors that are facing stress including power, sugar and shipping and those companies, which were facing difficulties in honouring their loan commitments. However, power companies, including 34 stressed projects with a capacity of about 40,000 MW would be the biggest beneficiaries as it now provides both banks and power generators with more time to resolve their debt. The decision comes after several power companies had moved the top court in August, challenging the constitutional validity of the February 12 RBI circular. The power sector had contended that they were not willful defaulters and were facing sectoral and market issues, including non-availability of fuel and power purchase agreement (PPAs) and non payment by state utilities issues. They had stated that this hampered their ability to generate revenue and maintain their loan repayment schedule with banks. What was the circular all about? As per the circular, 34 power companies were declared stressed by the standing committee on energy and some of them were referred for insolvency under the new bankruptcy code. The RBI had allowed 180 days for debt resolution, failing which the asset would have to be taken to NCLT for initiation of insolvency against them. The deadline for the same had been fixed for August 31, 2018. Recognising defaults by Banks: The circular had forced banks to recognise defaults by large borrowers with dues of over ₹2,000 crore within a day after an instalment fell due. And if not resolved within six months after that, they had no choice but to refer these accounts for resolution under the Insolvency and Bankruptcy Code. Increasing share of Bad loans: Mounting bad loans, which crossed 10% of all advances at that point. The failure of existing schemes such as corporate debt restructuring, stressed asset resolution and the Scheme for Sustainable Structuring of Stressed Assets (S4A) to make a dent in resolving them formed the backdrop to this directive. Breaking nexus: The circular was aimed at breaking the nexus between banks and defaulters, both of whom were content to evergreen loans under available schemes. Introducing Credit Discipline: It introduced a certain credit discipline — banks had to recognise defaults immediately and attempt resolution within a six-month timeframe, while borrowers risked being dragged into the insolvency process and losing control of their enterprises if they did not regularise their accounts. It is now important for the central bank to ensure that the discipline in the system does not slacken. The bond market does not allow any leeway to borrowers in repayment, and there is no reason why bank loans should be any different. The RBI should study the judgment closely, and quickly reframe its guidelines so that they are within the framework of the powers available to it under the law. Else, the good work done in debt resolution in the last one year will be undone. Note: Issues on Air pollution report, Law on asylum, Judiciary reforms in Congress Manifesto and SC collegium under RTI will be covered tomorrow.